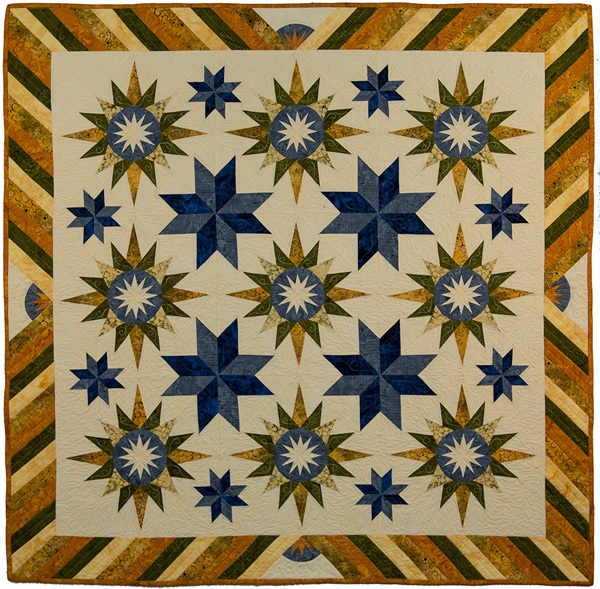 Click the “Buy Now” button to the right to find the book AND the individual patterns. 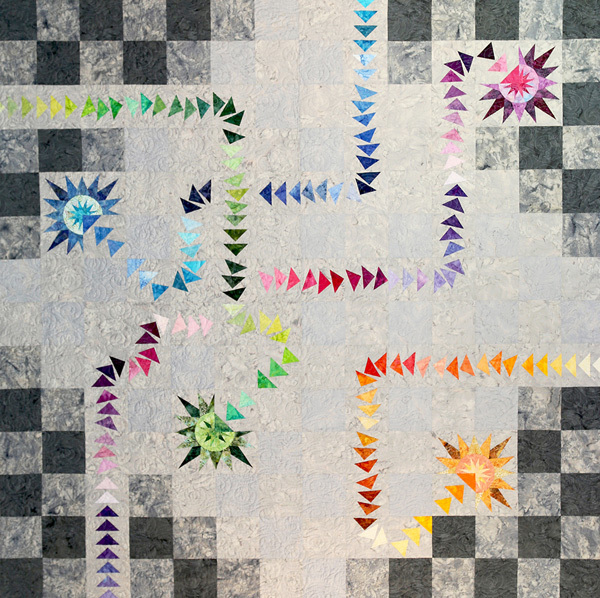 Click HERE to find the Geese Migrations Supplement, which includes line drawings for all 29 samples, finished blocks at a 3″ x 3″ dimension so you can begin doing your own designs, and cutting information for projects in the book that were done out of newer fabrics, with an updated color arrangement (currently Flight Path in Robert Kaufman and Southern Comfort in Seasonal Portraits by Timeless Treasures). The supplement is a downloadable product ONLY. 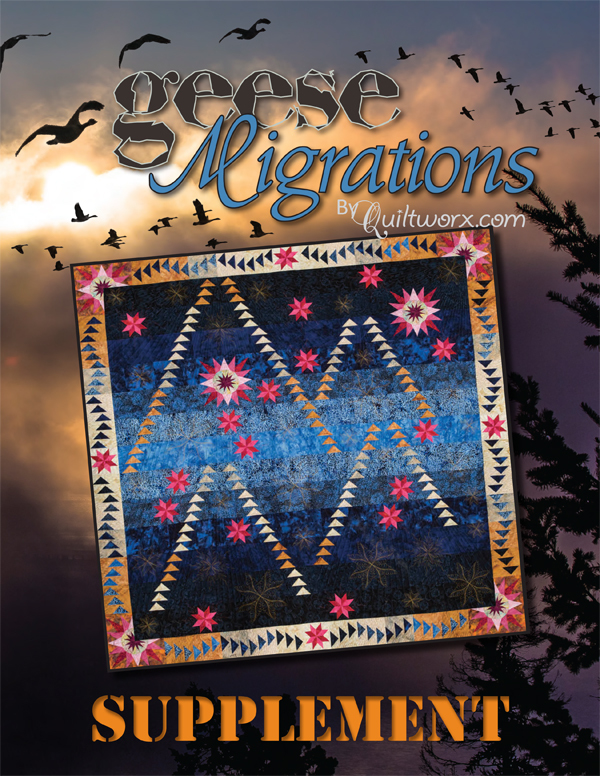 Quiltworx.com is excited to announce the publication of our first book, called Geese Migrations! 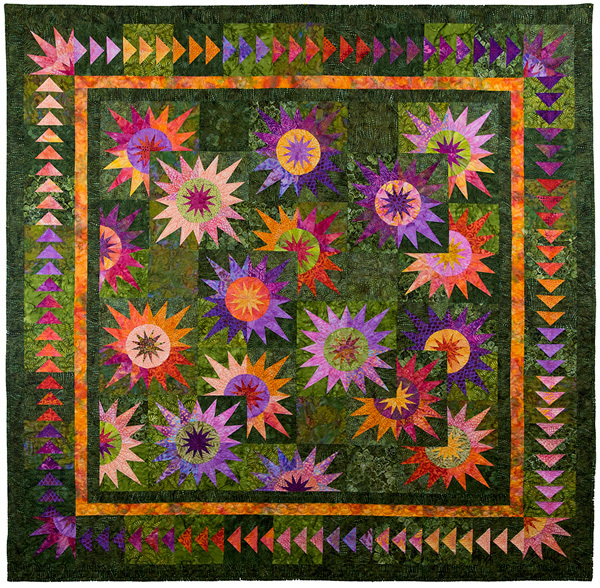 A new approach to pattern design by Quiltworx.com, we organized a series of 6-inch blocks, including Geese and Stars, and collaborated with 27 of our Certified Shops to complete a dynamic and colorful group of patterns! 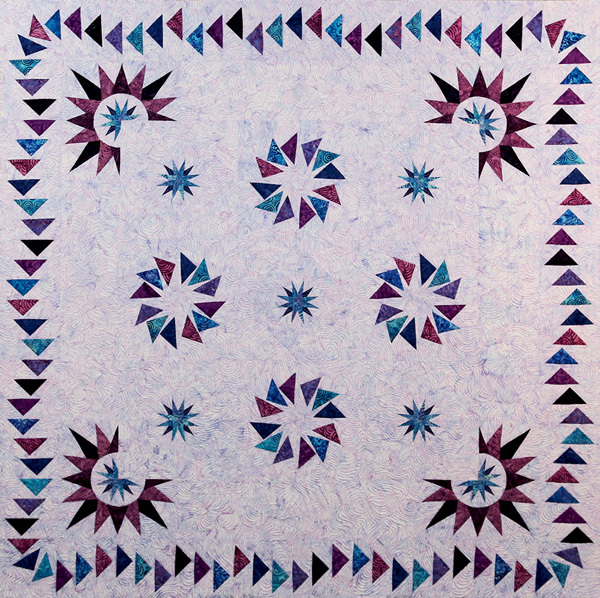 Including designs by Judel and Judy Niemeyer, as well as the Certified Shops, the book has 29 Quilt Patterns in it, all together! 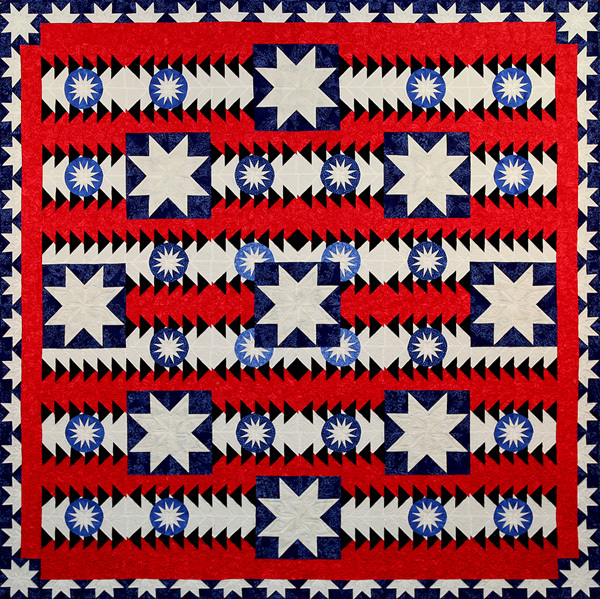 The book includes the directions for making each of the blocks that were allowed for the book project, including general cutting and piecing instructions. 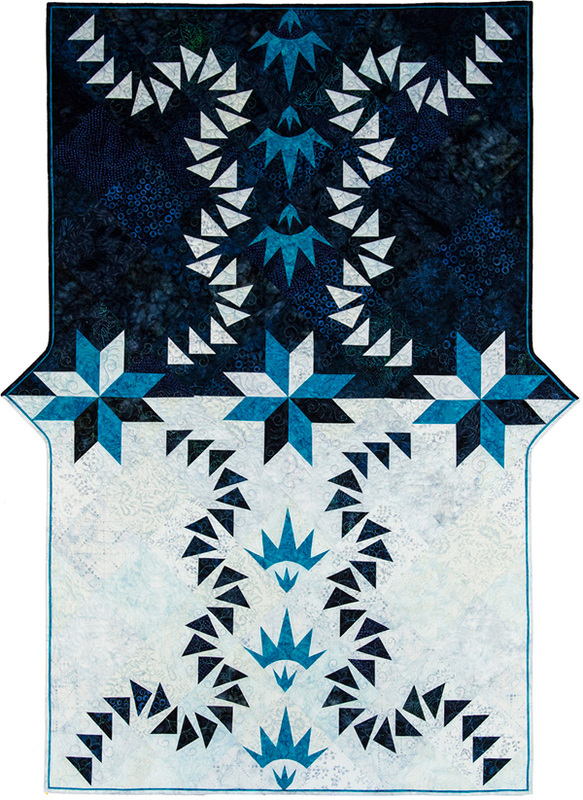 It then includes a spread for EACH of the patterns, with a full color picture, yardage, and specific cutting and piecing directions for each quilt! 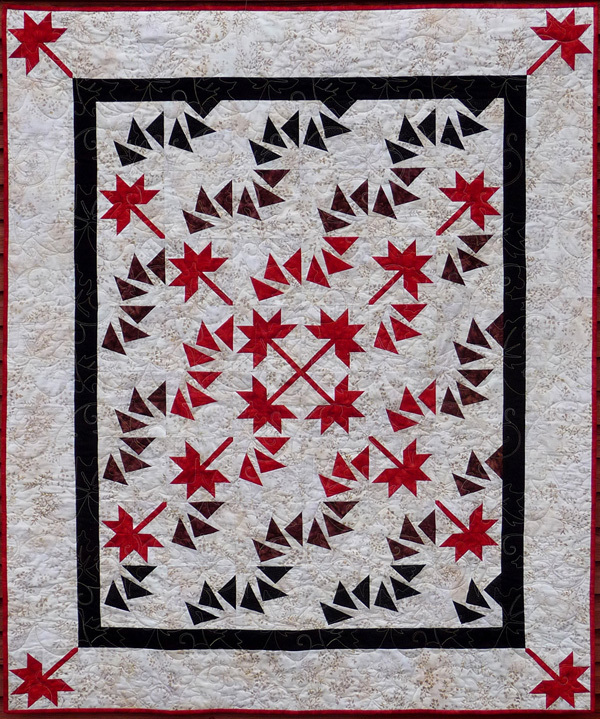 At the end, there are a few pages that will discuss how to increase the size of your quilt, figure out your own yardage for a quilt that you might want to make using the blocks, in your own layout, and how to add borders. 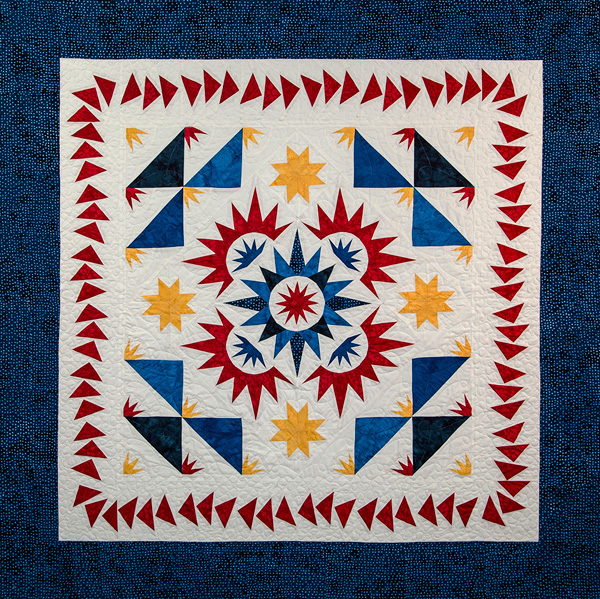 Estimated at about 160 pages, this book will be an excellent resource for instructors and students alike, along with a wonderful coffee table book with beautiful pictures of each design! 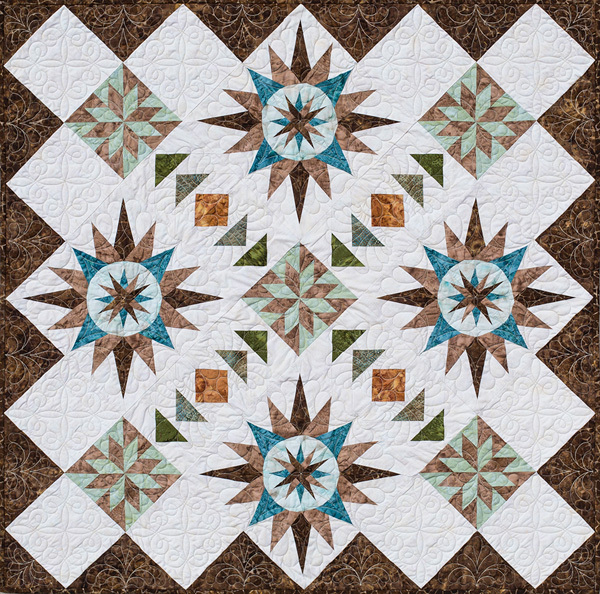 Click on the BUY NOW button to the right to get information on the book, along with 29 paper piecing packages, which must be purchased separately for each project you would like to do! NOTE: If you received a 50% off one Geese Migration companion pattern coupon with your book pre-order please note that it is valid on only 1 pattern. 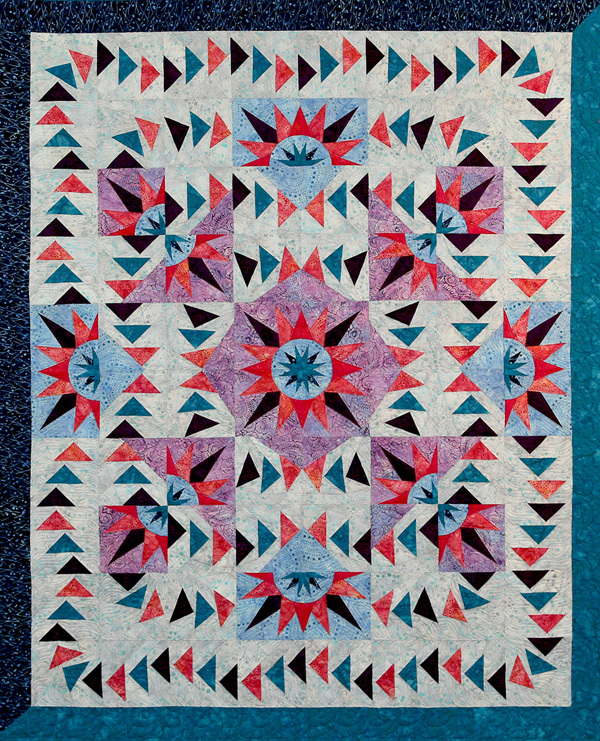 That pattern will have to be ordered separately for the coupon code to work. 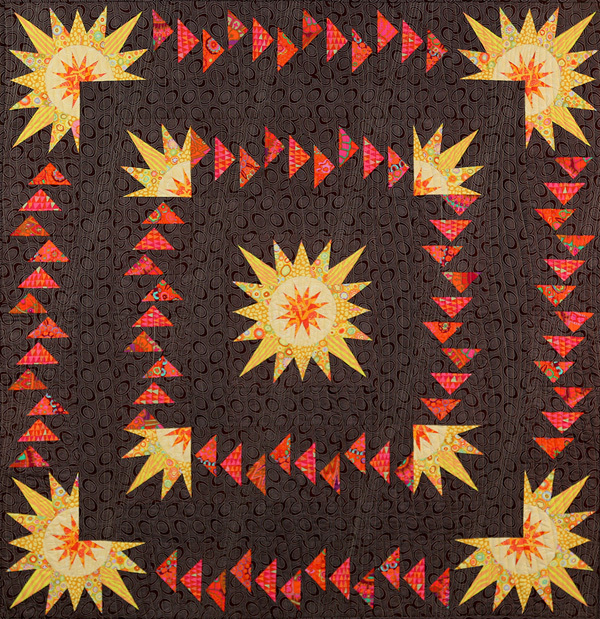 If you are ordering several items, please note under order comments to combine your orders. 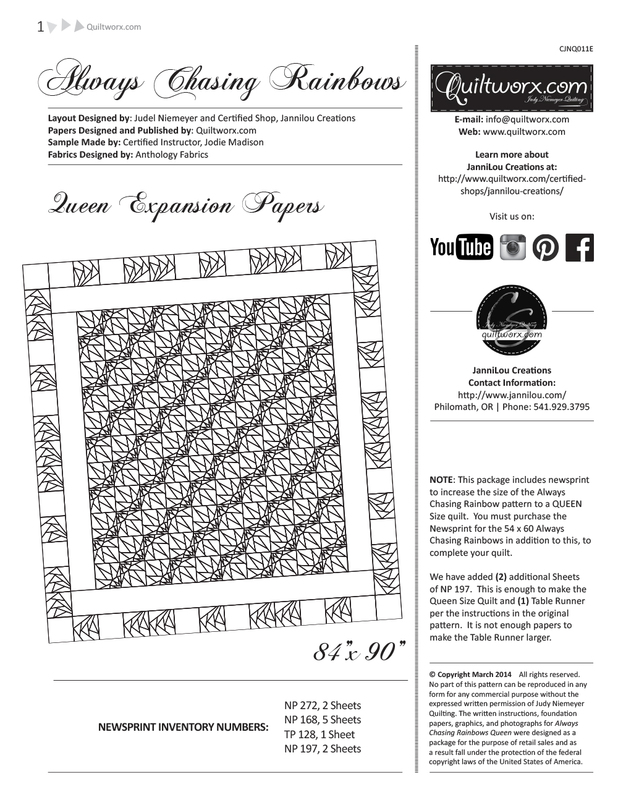 Since the instruction are compiled in the book and you only purchase newsprint packages for each project you make, this book is an excellent way to reduce the cost of patterns we publish that use the same units if you make more than one! 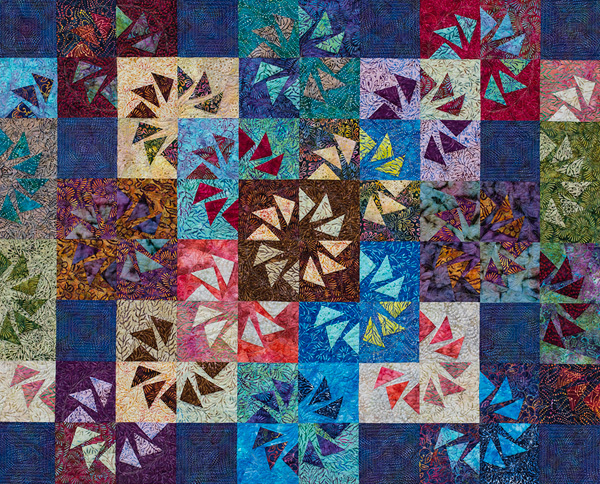 Make 1, or make them all! 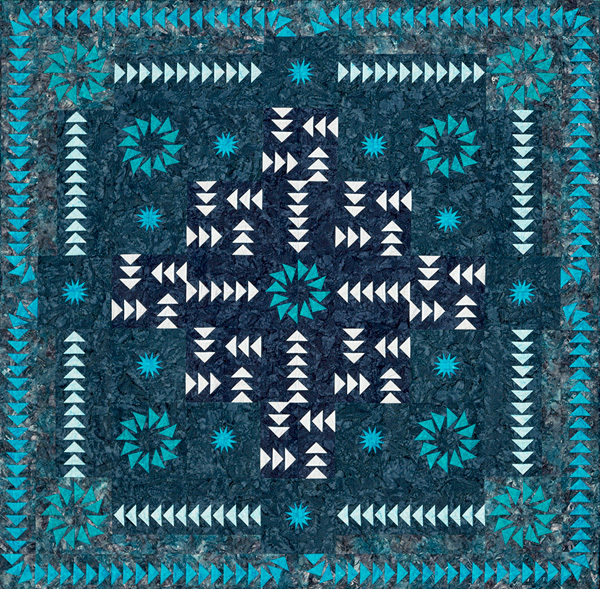 And, don’t forget to share the finished quilt to facebook when you are done! 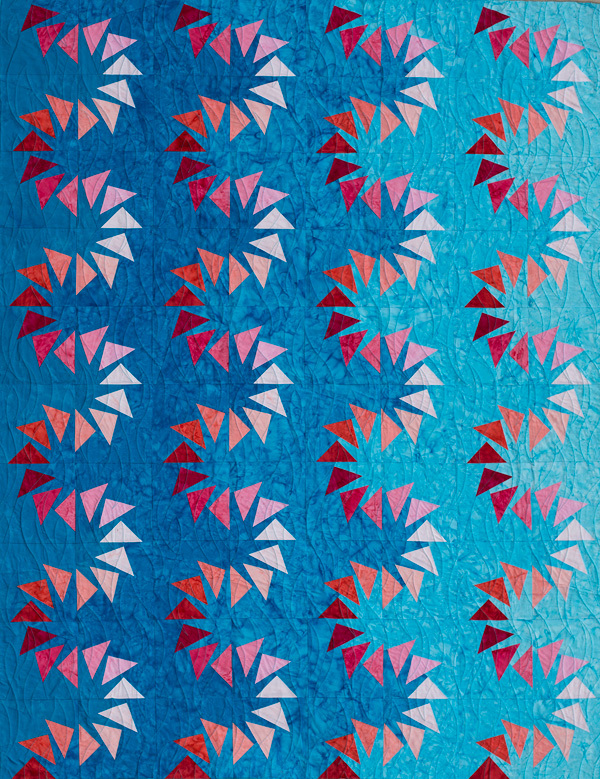 Due to the number of patterns in this book, the fact that many of them share portions of instructions, and that we will only be doing one printing, corrections will be listed differently for the book than in other patterns. 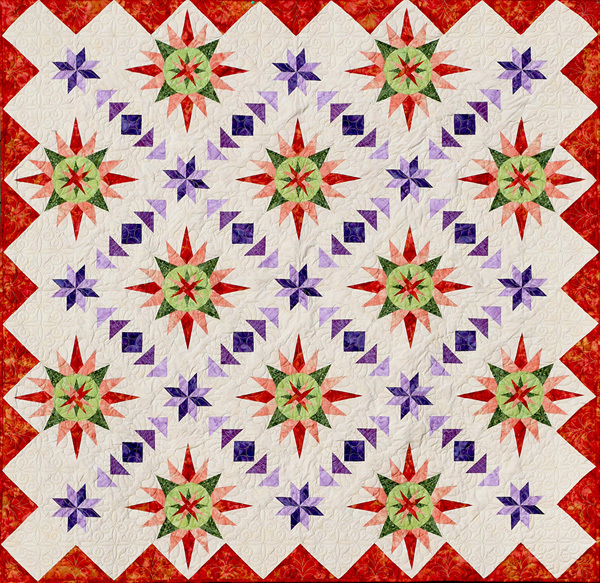 We will have a general corrections file and will update this as we learn of any issues with patterns! The corrections file will be provided by page number, in numerical order. And, include only the portion of the corrections that needs to be corrected, along with a reference point on the page and an explanation of the error, as appropriate! 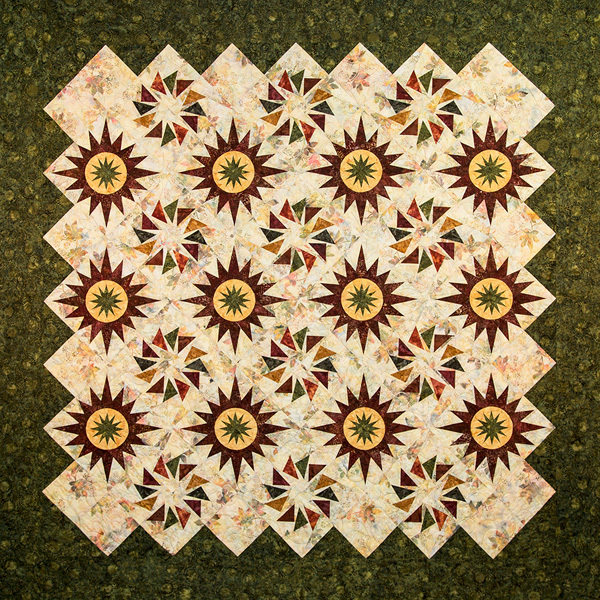 These patterns were all made by others, and reviewed by the original pattern designer, along with a Certified Instructor from Quiltworx.com, and Quiltworx staff. Despite this thorough review process, we believe there will still be issues that arise and we want to be able to communicate those to anyone making the book! 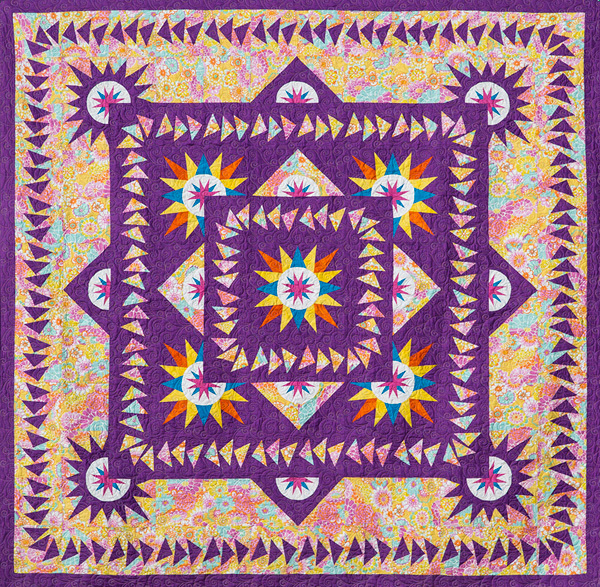 Please check this file before you make each of your patterns as it will be updated periodically, when we hear of issues with patterns. A date is included on the corrections file and at the bottom of any correction files you may print so you can reference whether corrections you have are outdated. Please reference the print dates, accordingly! 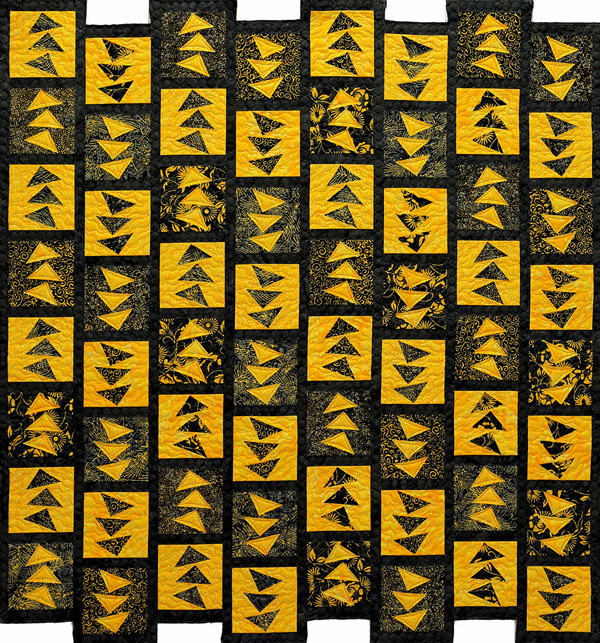 And, thank you for understanding that our corrections are our endeavor to make our projects doable by our customers. We like to be accountable when we learn there is a mistake! 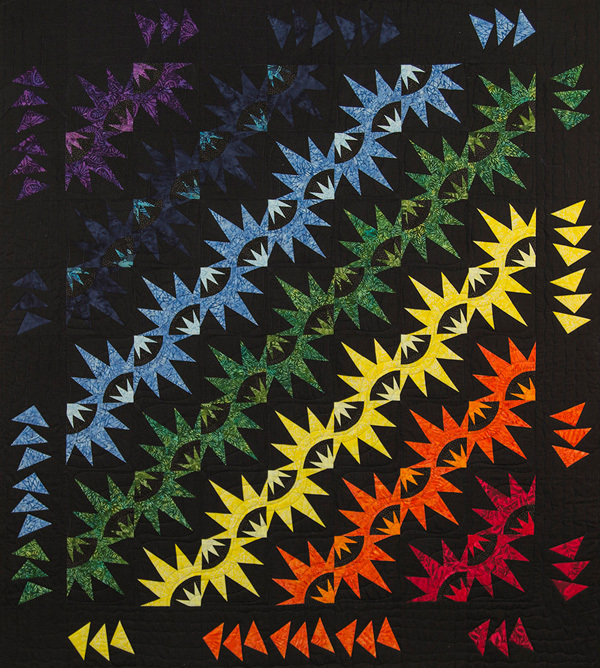 Since the individual patterns are just paper packages, there is no need for extra foundation papers. 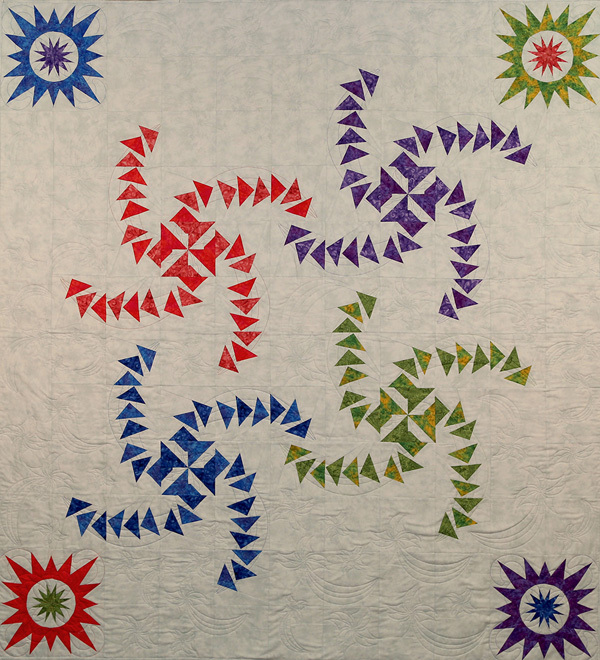 To make the quilts bigger, you can custom order newsprint by calling the office at 406-393-2646 (please be prepared with the additional newsprint numbers you need) or simply order a second package and use what you need. 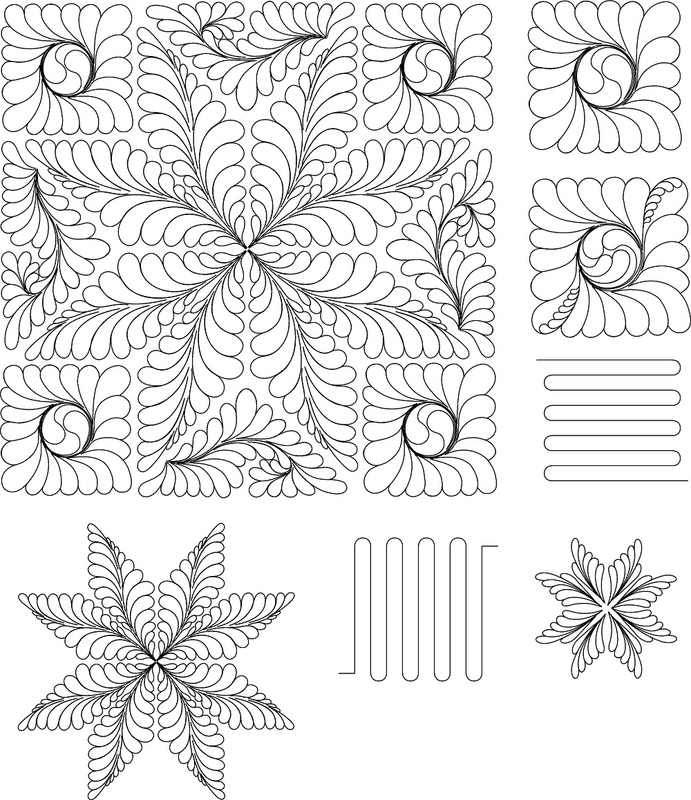 Pattern Paper Packages: Prices vary, depending on the pattern you choose to make. 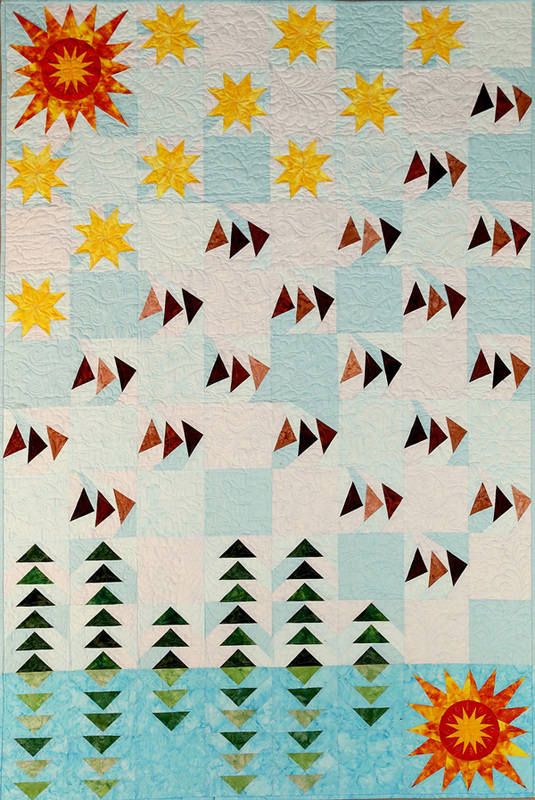 Click the image below to find kitting information for the original Geese Migrations (designed by Judel) and Fish Ladders (designed by Judy) quilts, along with select kitting handouts for recent samples made out of current fabric lines. 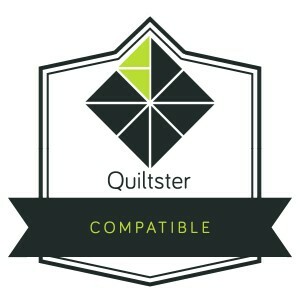 This Kitting Bundle will be updated with new samples over time. 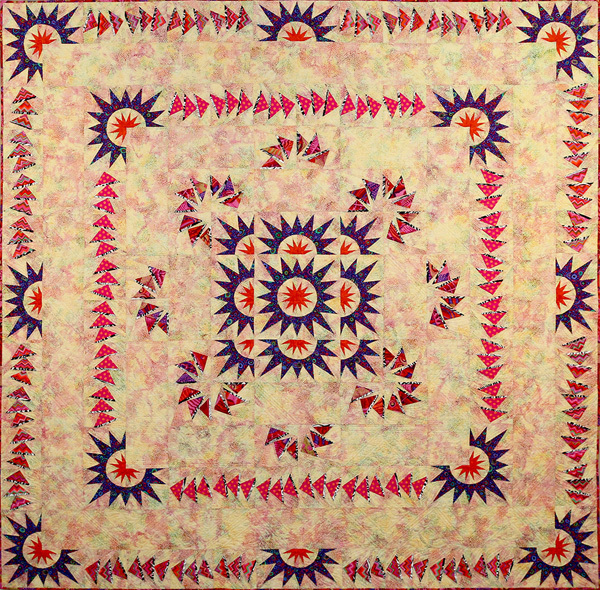 Geese Over the Flathead, block design by Quiltworx.com, quilt design by Quilt Gallery, pieced by Bob Labrecque, and quilted by Betty Craig. 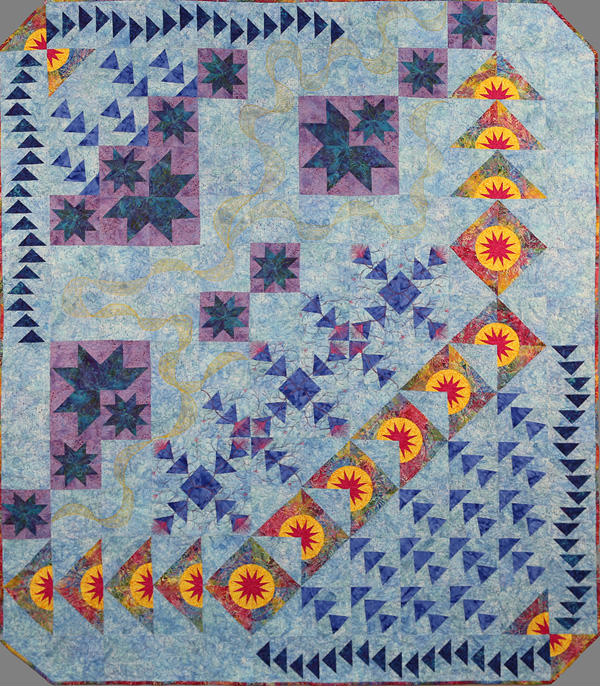 Won Third Place at the Washington State Fair. 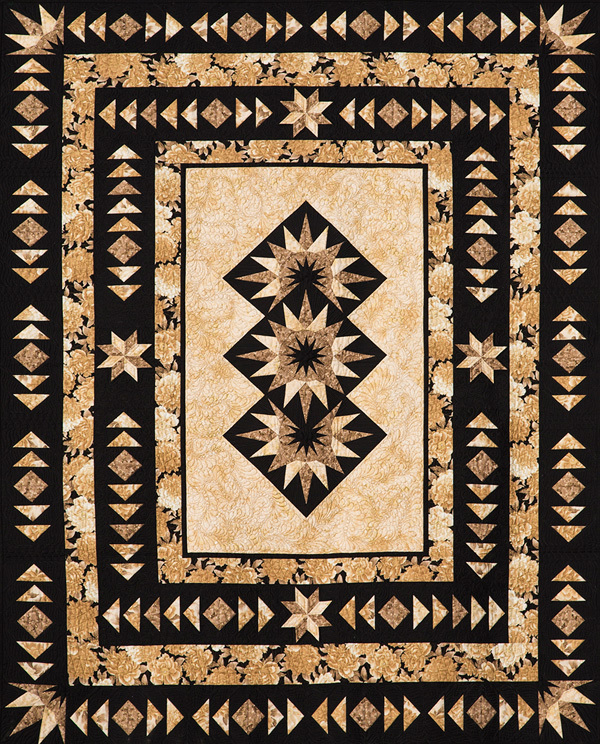 Montana’s Native Splendor, designed by Quiltworx.com, made by Cindy Bohannon. 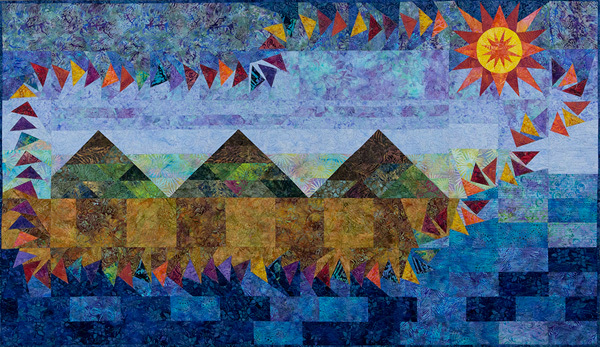 Won Second Place in its category and Judges Choice as the Douglas County Fair in Colorado! 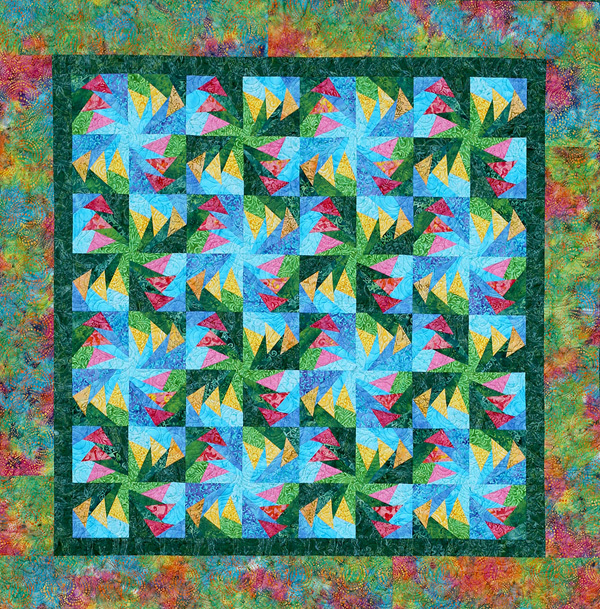 Pyrotechnic Geese, designed by Quiltworx.com, made by Colleen Robert. 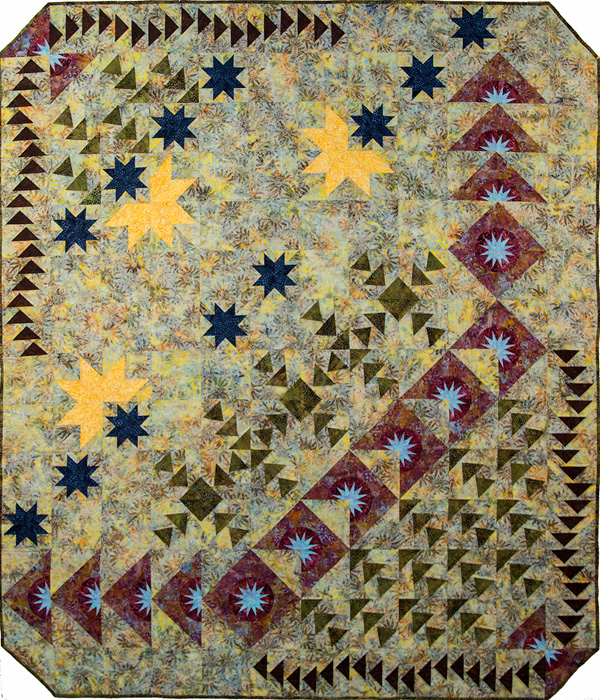 Won First Place at the Benton, Lincoln & Linn County Fairs in Oregon. 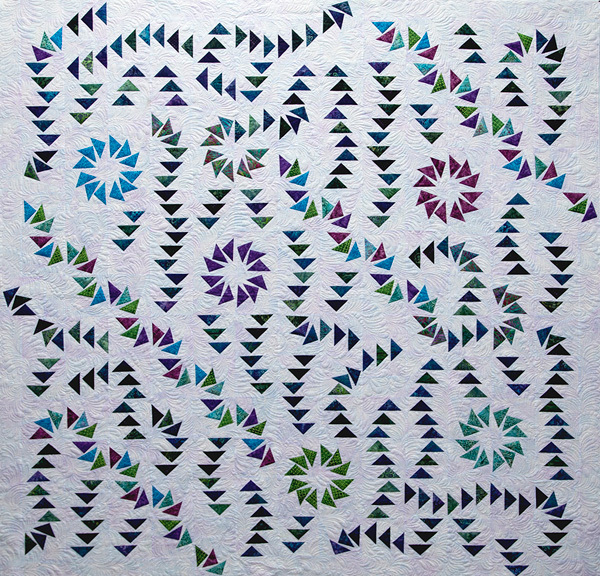 Carol Chapman Britt I believe this was designed by Batiks Etcetera staff member Anna Jones for the Geese Migrations book. 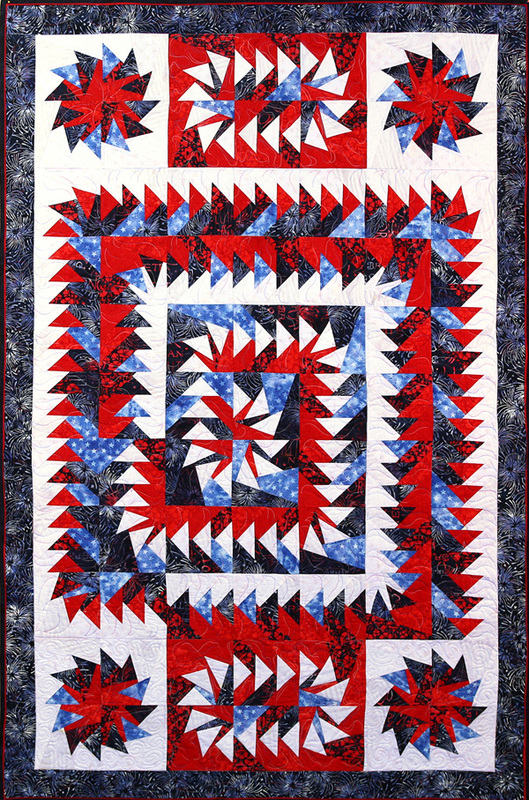 Beautiful job on this quilt! 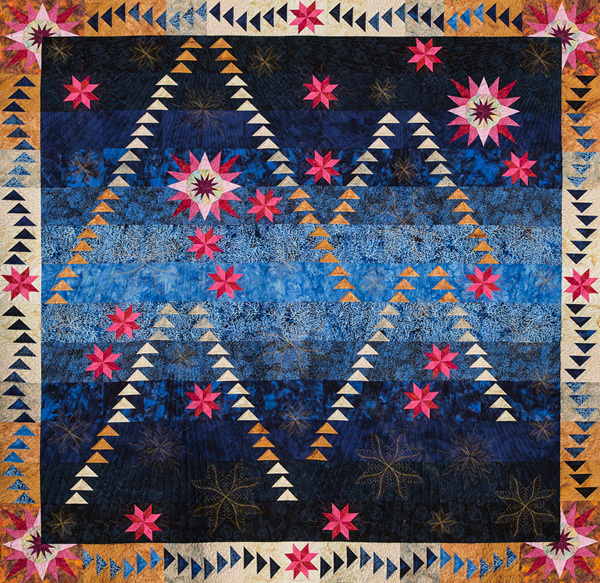 Gail Lansdowne Wow this quilt is just amazing love it. 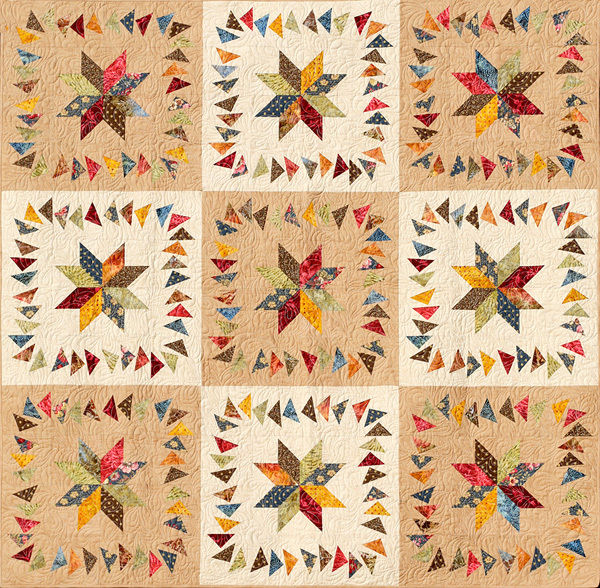 Sorry, there are no classes scheduled for Geese Migrations Book and Patterns at this time.